You're never far from fun in Tannersville! This Pocono Mountains town is packed with places to stay, things to do, and sights to see. 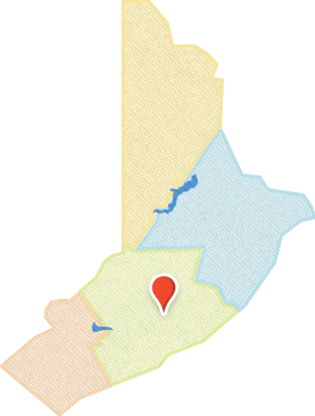 Situated in the heart of the Pocono Mountains, Tannersville is a hub of activity and adventure all through the year. Winters fuel great skiing, riding and tubing while summers inspire high-flying fun for the whole family! Soar through the treetops on a mountain zip line, climb through aerial obstacles on a ropes adventure course, or catch a wave in any weather at one of the awesome indoor waterpark resorts! From superior shopping to great gaming, dining and spa experiences there&apos;s no end to the allure of this Pocono Mountains town. Plan your trip to Tannersville today! Family-friendly, group-friendly, pet-friendly, adults-only…Take your pick! Tannersville’s array of accommodations ensures you’ll find the perfect place to stay. Tannersville is a top spot for outdoor adventure. From snowsports in winter to adventure sports in summer, there are endless ways to get out and explore this Pocono Mountains town. No matter the weather, you’ll find plenty of family-friendly things to do in Tannersville. Enjoy a favorite activity, or try something new. Indoor and outdoor adventures abound! When it comes to shopping, Tannersville has it all. Shop designer and name-brand outlets, independent boutiques and craft stores, jewelry, candle and sweet shops, specialty stores and so much more! Whether it’s family night, girls’ night or date night, there’s a table for you in Tannersville. Keep it casual or enjoy an upscale dining experience. This Pocono Mountains town is also known for its nightlife. In Tannersville, you can hit ski slopes and waterslides in the same day! Winter fun is all around this Pocono Mountains town! Enjoy skiing, snowboarding and snowtubing on the mountains, try snowshoeing or cross-country skiing in the parks, or spend time at a resort for even more activities. Staying in Tannersville? Don’t forget your golf clubs! Play a relaxing 18 holes, or enjoy a game of mini-golf with the family.